What a week! I don't normally post on a Saturday but after attempting to write up this post for days now is my first chance! Mr 2 has been home from daycare this week with some sort of virus that caused conjunctivitis and just as it started to clear he broke out in spots. Before having children I had no idea there were so many illnesses that caused spots! Being the third child we didn't even take him to the doctor (he's completely fine now by the way). Anyway between having a clingy and sick 2 year old hanging off me, and trying to complete two whole subjects before the September school holidays, I haven't had a whole lot of spare time. So this week, yet again, bliss balls saved my life. 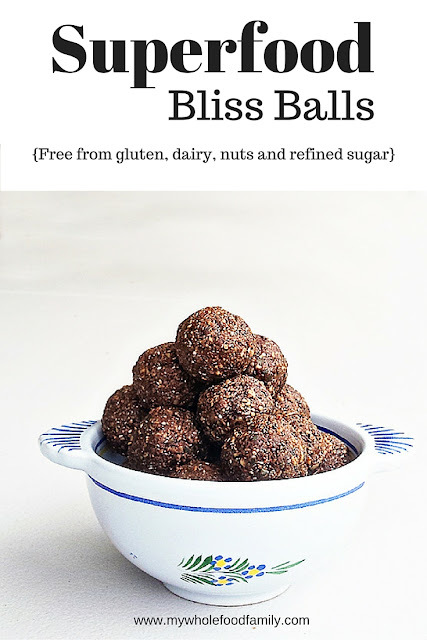 I have made a ton of different bliss balls over the past few years, but it was actually only once I had my third baby that I really appreciated them. When Mr 2 was very little I used to make a batch of bliss balls every week and had them stashed in the freezer for a quick breakfast, a mid-afternoon pick me up or a late night snack while feeding. This week there quite a few times when I was hungry but didn't want to make anything from scratch, so I grabbed 2 of these from the freezer and was completely satisfied. These ones are a little different in that I have specifically chosen ingredients to suit my health at the moment. There is no gluten, nuts or refined sugar and they have an extra boost of superfoods. 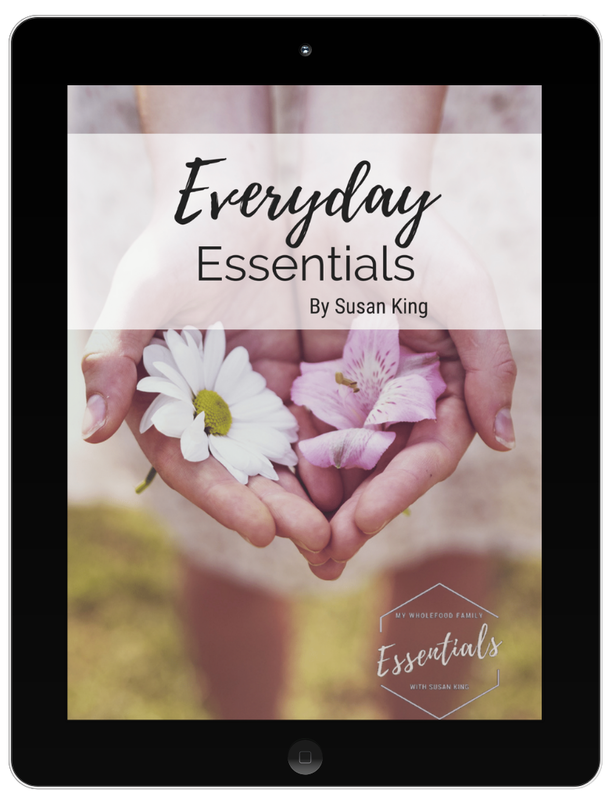 Think antioxidants from the raw cacao, zinc from the pumpkin seeds, calcium from the tahini, fibre and essential minerals from the dates, good fat from the coconut, along with the amino acids, minerals and hormone balancing properties of maca. Oh, and they're totally delicious! As with anything containing chia seeds, make sure you check your teeth before venturing out in public! Place all ingredients into the food processor and blitz until the mixture clumps together (Thermomix 20 seconds / speed 6). With damp hands, roll spoonfuls of mixture into balls.